MASKerade: CASology 23 - Gift! 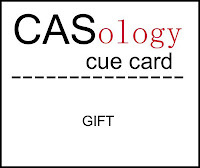 This week's CASology Cue Card is Gift! For a while now, I've been thinking about the idea of a black and white Christmas card - wondering if it was too stark and not festive enough. But I think for this wonderful, thoughtful image/sentiment stamp by Kathy Davis for Inkadinkado, it's very appropriate - especially with just a pop of silver to add a little sparkle. 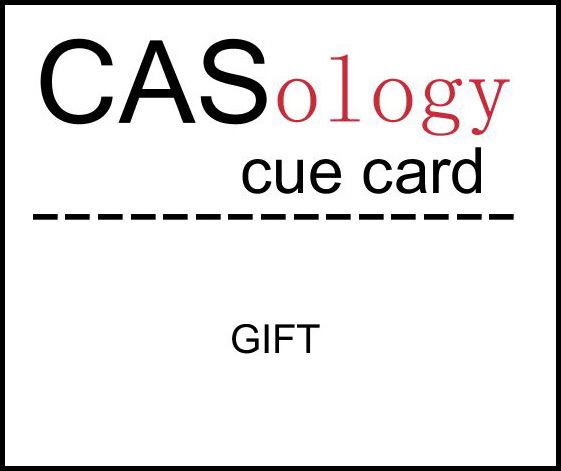 Of course there are many types of gifts - and now it's your turn to show us your gift of creativity! Ardyth in the case of this beautiful image and card, black and white is absolutely perfect! With that rich touch of silver, this is the perfect frame for that wonderful image!! I love the black and white. I agree it's perfect with this image. Simply beautiful..and the best gift we could ever receive. Your card is a wonderful take on the challenge! The black & white image looks stunning with the silver metallic framework! Absolutely stunning! The wee bit of silver paper is the perfect way to showcase this AMAZING image! Personally, I love the black & white! your card is absolute perfection, ardyth! I agree that with the silver frame this is just perfect for Christmas ~ love the image and sentiment! This is just the best Christmas card! I think it's perfect and elegant in every way. 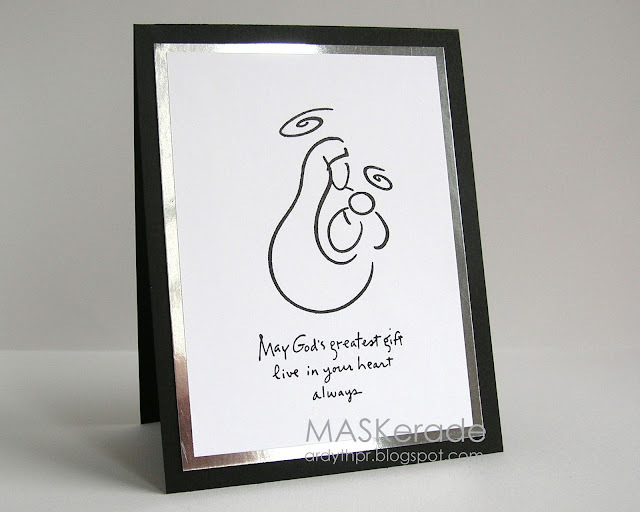 This is a beautiful card and the image IS just perfect for a black and white card!!!! !